Hergest Croft - three generations of Plantsmen's talent on display! Gardens change and so do the families that create them, curate them and keep them open and alive to the public, but Hergest Croft in Herefordshire is quite unique, because it's been in the same family since the house was built in 1896; there have been three generations of great plantsmen here; it's been open to visitors for more than 80 years; and also has one of the finest collections of trees in the country, with 39 champions. Comprising more than 50 acres of gardens and woodland on a hillside site, Hergest Croft has spectacular collections of maple and birch trees, including many species introducted by celebrated English plant collector - Ernest "Chinese" Wilson - before 1920, and complemented by newer collections which Lawrence Banks and his wife, Elizabeth, introduced to their home in the 1980s. 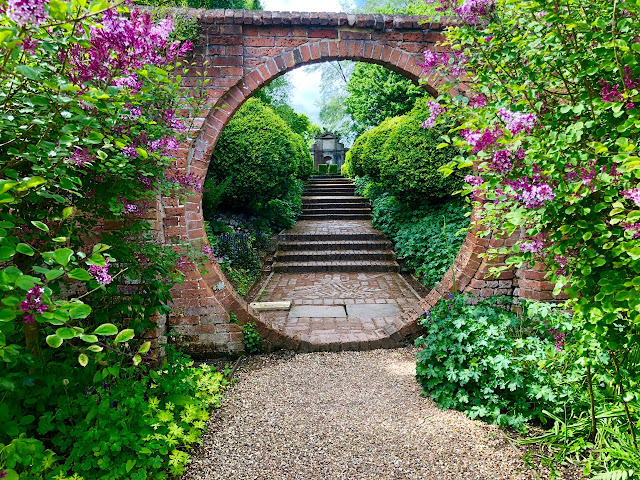 Elizabeth Banks was elected President of the Royal Horticultural Society in 2010, the same year she and her husband handed over the running of the garden to the third great Banks plantsman - Edward. Located on the outskirts of Kingston - a border market town, with a population of about 2,000, the estate dates back more than 750 years, but it was William Banks who built the current house that sits at the centre of Hergest Croft and is still occupied by his descendants. The planting is such that this garden always has something in bloom, starting with spectacular azaleas and rhododendrons in springtime, peonies in early summer, and the wonderful autumn maple displays. 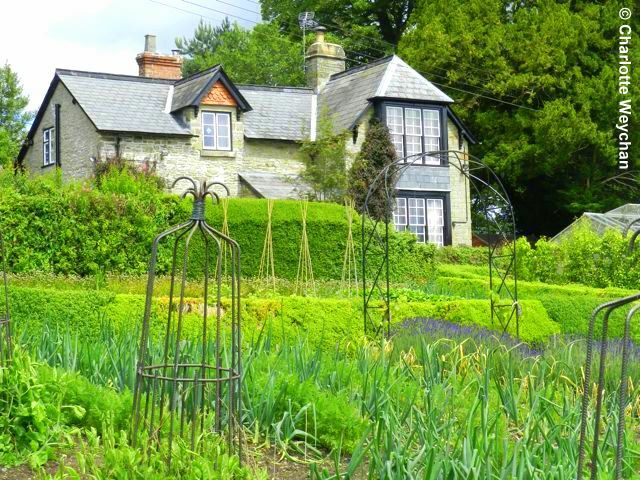 And throughout the year, visitors can enjoy the exceptional kitchen garden, where double herbaceous borders and roses are in flower alongside rows of vegetables. From the kitchen garden, it's a 10-minute stroll to Park Wood, where many of the oak trees date from the 18th century. But it's here that you find the most spectacular rhododendrons, some in flower as late as August, which form part of a benign microclimate, reminiscent of a Himalayan valley. 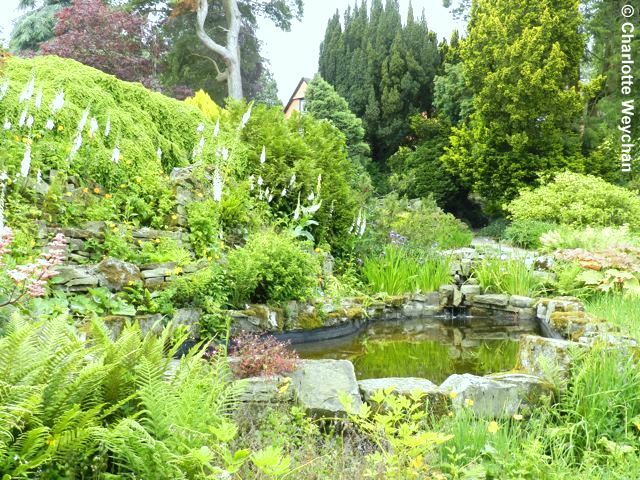 Hergest Croft is definitely a garden to linger in for several hours if you are to appreciate all its different plants and vistas. Open daily from noon to 5.30pm, April to the end of October. 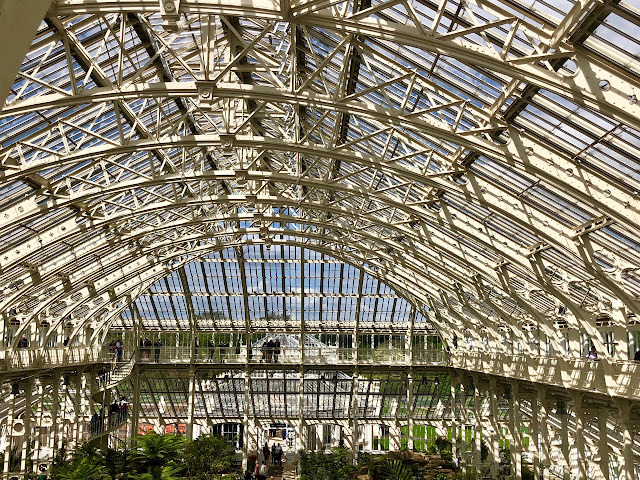 Combine this with Westonbury Mill Water Gardens for an unforgettable day out! Charlotte, you must love what you do. 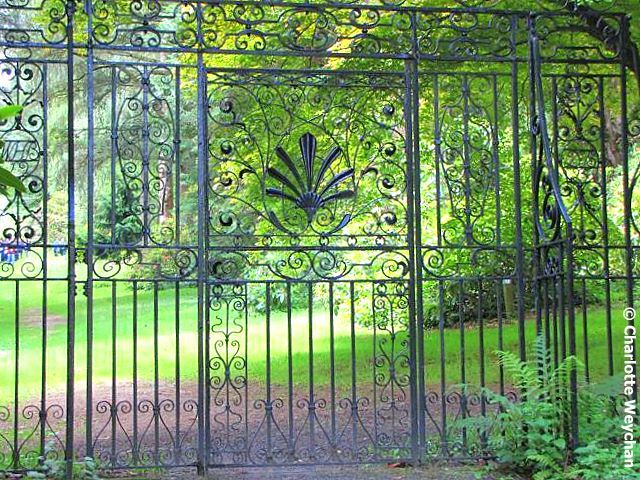 Such continuity, as here at Hergest Croft, must indeed be rare. I wonder can you tell whose hand is where, or if the transitions between generations are seamless. 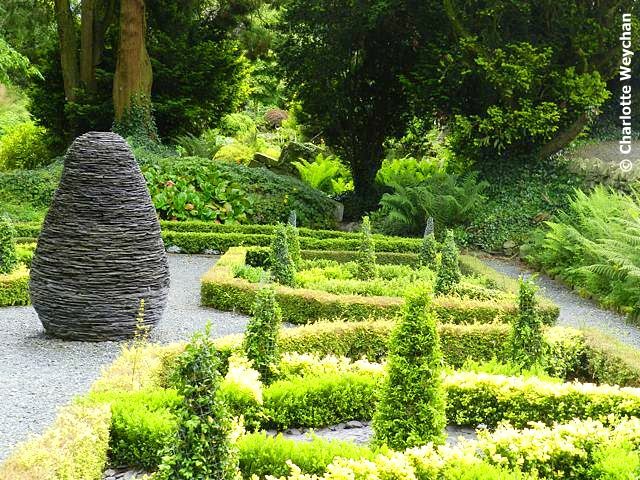 Oh...that I could have boxwoods and someone to keep them sheered as neatly as at The Slate Garden....lovely. 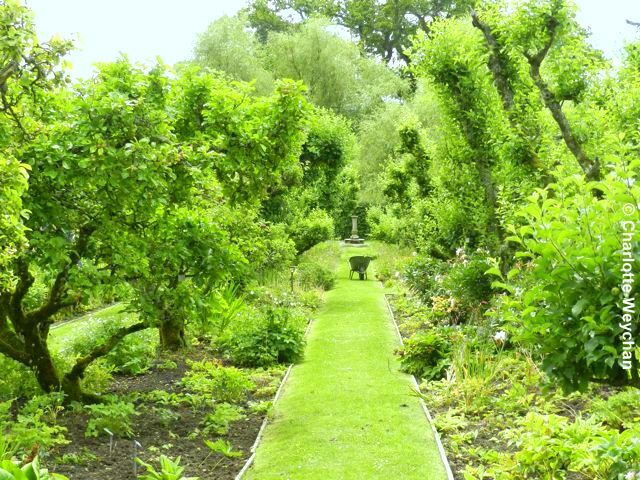 I also like the kitchen garden. Is all well there with the box? Is there more than one form in your photo, or are some yellowing a little? have to agree its a lovely garden. finally managed to get to squerryes court after your recommendation and it was also well worth a visit.